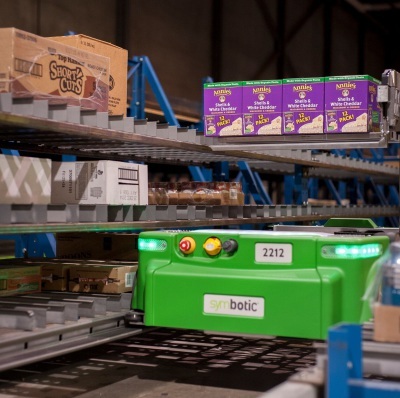 Symbotic is building robots to take over the world…of logistics. Supply chain management is an immense industry that is becoming ever more important with the rise of e-commerce, just-in-time inventory management, and automation. Symbotic employs specialized autonomous mobile robots and powerful engineering solutions to optimize a company’s supply chain and improve safety, performance, and costs. The company is a wholly owned by Rick Cohen who also owns C&S Wholesale Grocers. C&S is the largest wholesale grocery supply company in the U.S. that is quickly carving out a niche of its own in our technology driven, consumer demanding world. One of the great things about Symbotic is that they keep a lot of existing infrastructure – or as they put it, “why waste time, money, and effort building a new facility to do the same job?” Rather than reinventing the wheel, Symbotic overlays an advanced solution on top of established systems to optimize and improve. Their technical staff will design and build a customized solution for each customer, using robotics to automate handling of the physical goods, and software to optimize when and where goods go. 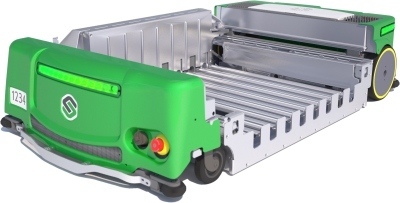 The technology handles everything from the point at which a pallet enters the warehouse, to de-palletizing cases and breakpacks into the system, and then shipping to grocery and stores. Fulfillment centers are redesigned from the inside out to incorporate these solutions that typically double capacity. From a business strategy standpoint, there a 5 components of supply chain management. Simply put there are plan, source, manufacture, deliver, and return. 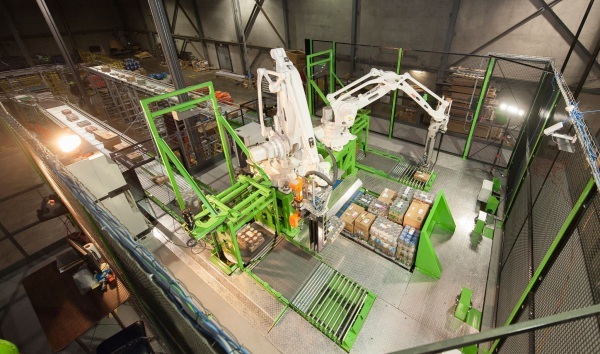 Symbotics solutions focus on the middle 3 dealing with the physical handling of goods at the facility level. If you are a large retailer or wholesaler in need of help with supply chain logistics, Symbotic would be happy to speak to you. Their website is www.symbotic.com and their capabilities are expanding rapidly. Raising Additional Funding: No. Rick Cohen provided growth capital, but Symbotic is self-sustaining at this point. Revenue: Symbotic’s revenue is private, but their revenue model is based on installations, system operations and maintenance. Symbotic will install the initial solution, but then will also operate, maintain and upgrade the infrastructure through improved robotics and software. The company has added 150 people, or ~25% to their workforce since January. Needless to say, they are growing very quickly. Potential Customers: Customers include retailers, wholesalers, and manufacturers – any company with a large and complicated supply chain. Obvious customers would be grocers since that is what the company knows best, but other verticals could include general merchandise, frozen, hardware, e-commerce, and textiles to name a few. Market Size: Large, exact figure unknown. E-commerce, manufacturing, retailers, and wholesalers are massive industries with high emphasis on supply chain logistics. Market Shift in Favor: Manufacturing is coming back to the U.S. But the jobs and services created are not labor intensive, rather they are the services that Symbotic provides – automation and technological solutions. The Symbotic team has expanded significantly this year. They have a large group of engineers and software developers who are paired with business and supply chain professionals trying to build a better solution to supply chain management. The CEO came from EMC and many of the existing employees have a background in tech. They are hiring, so if you are technologically inclined, check out their jobs list Here. Symbotic is growing rapidly and focusing on building their base of new customers and delivering on services provided to existing clients. The company recently acquired Axium, a Canadian robotics solutions company, so expect a push in to Canada soon.